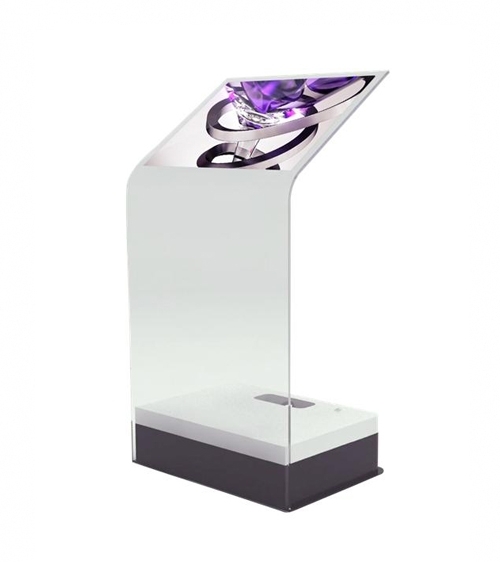 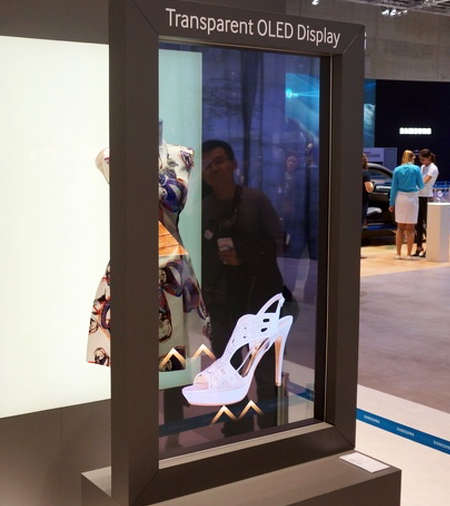 A transparent OLED panel is a self-emitting display utilizing cutting-edge Organic Light Emitting Diode (OLED) technology, which eliminates the need for a backlight and enclosures. 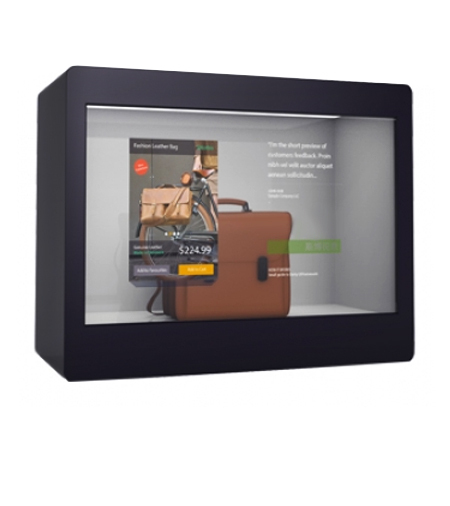 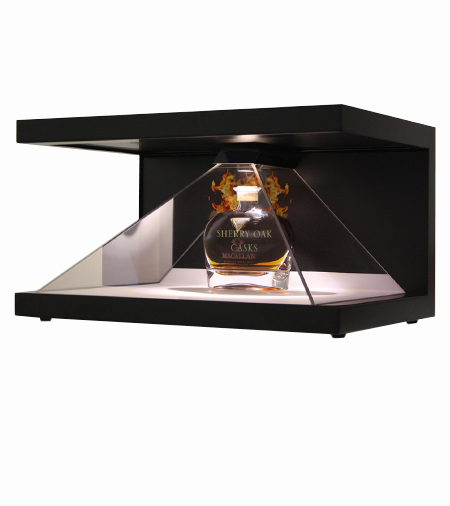 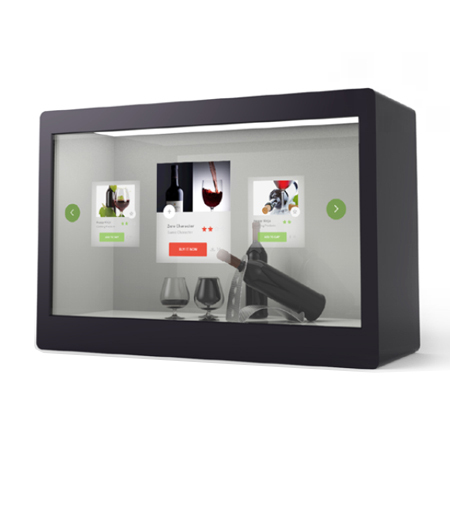 The frameless transparent surface glass has 45% light transmittance, allowing you to view the content on the screen as well as objects located behind it. 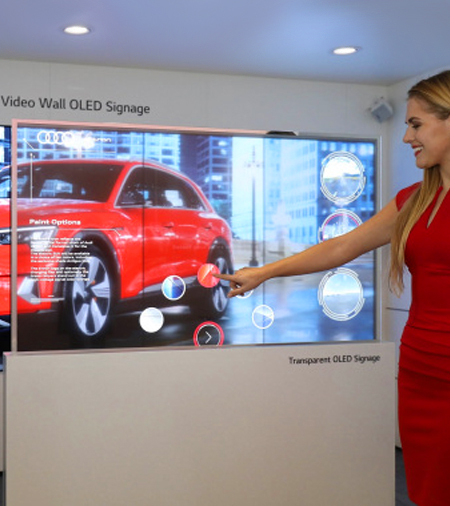 iDesign Cafe has customized this technology as a video wall for an impressive larger than life hi-tech holographic look that is the pinnacle of media and advertising. 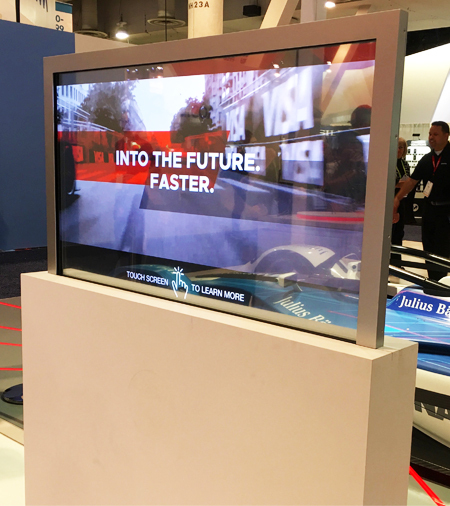 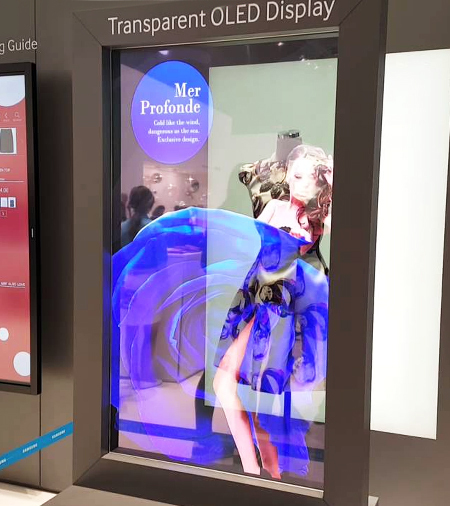 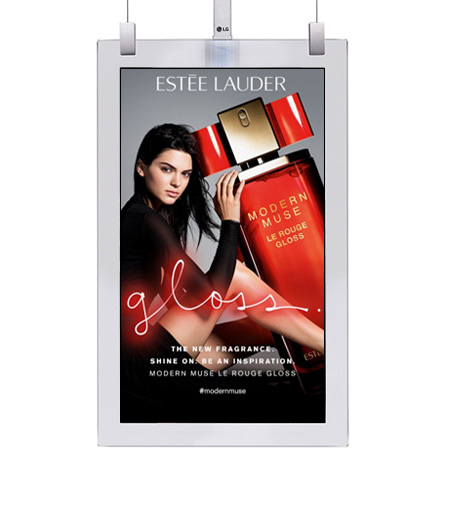 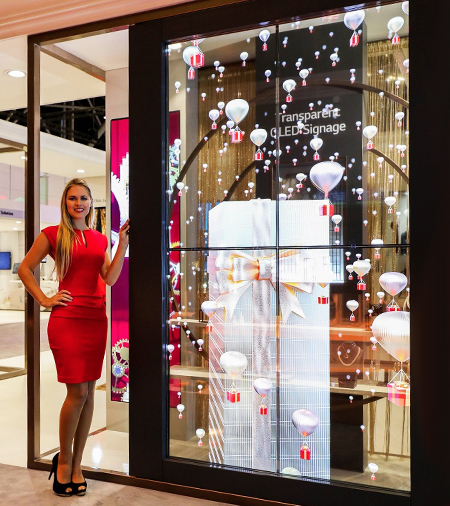 Our transparent OLED glass can be used as a single panel or arranged horizontally or vertically to make any video wall configuration to create the ultimate storefront display, window advertising overlay or interactive art installation. 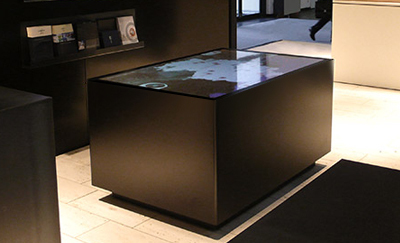 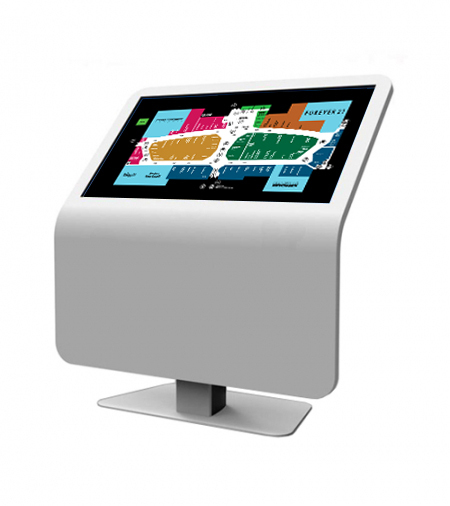 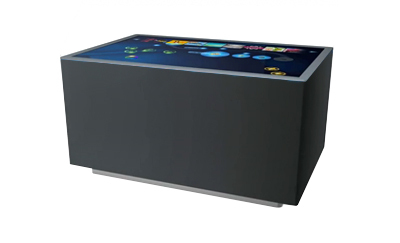 We can also add touch to use as a transparent OLED computer for interactive presentations or combined into large touch surfaces. 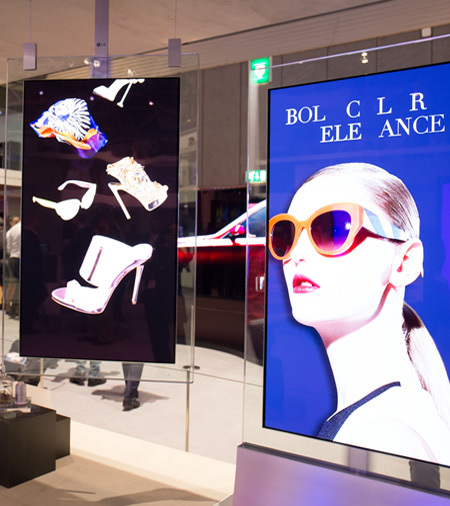 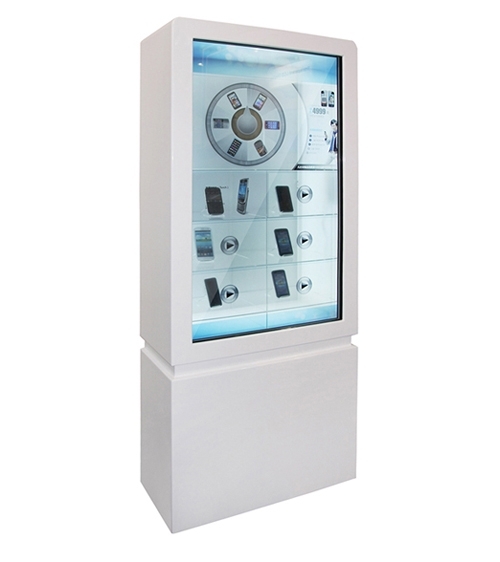 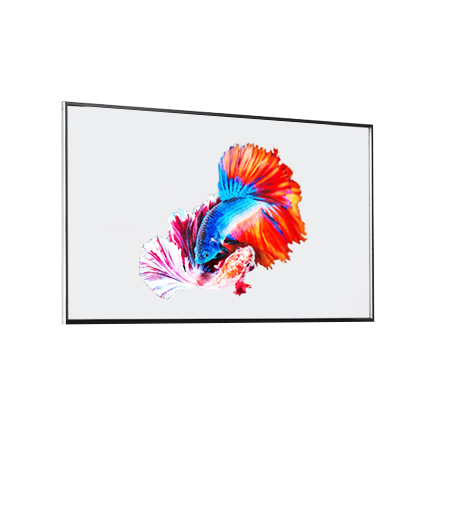 Transparent OLED displays possess unique characteristics of high resolution HD, high grade of transparency, and unmatched brightness and color saturation. 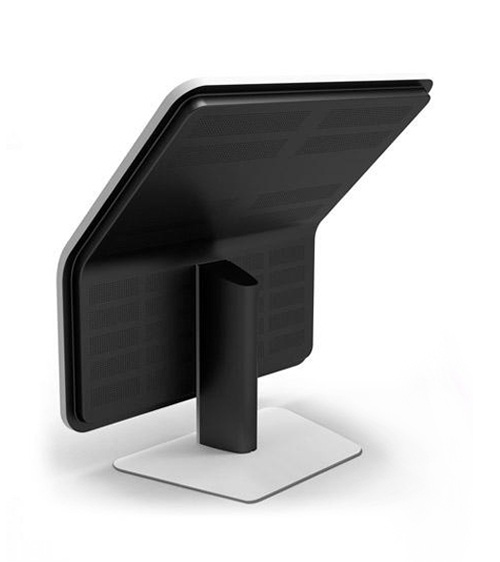 Please ask about availability as some of these panels have been discontinued and are becoming harder to find. 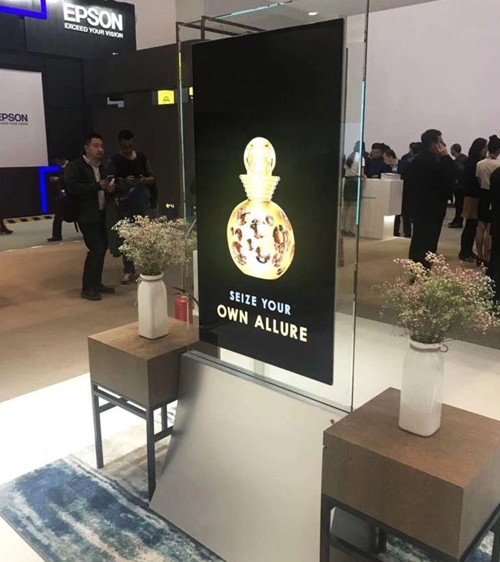 Shipping not included in price. 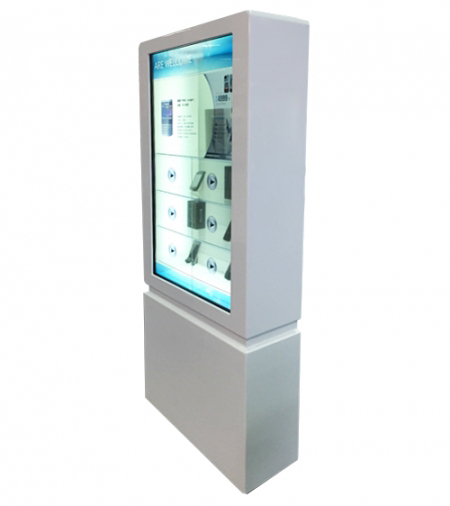 General lead time is 4 weeks. 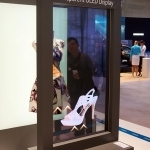 OLED Glass Panels can be mounted on a wall or window. 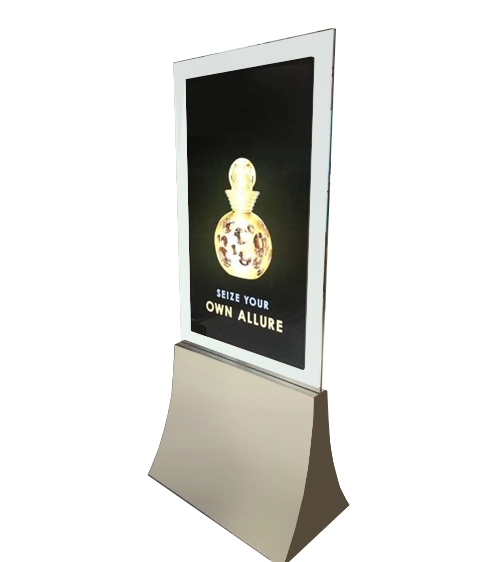 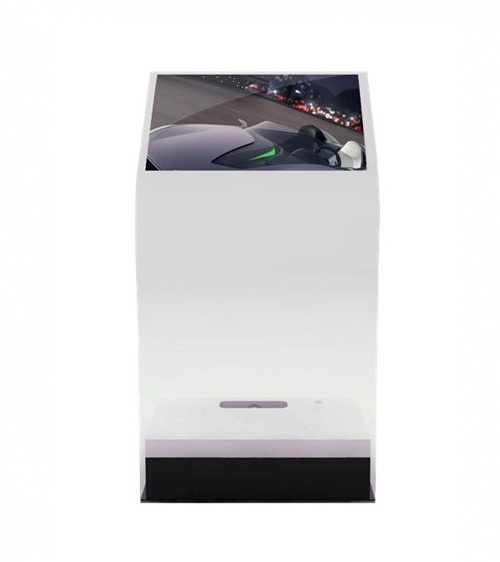 Due to the technical nature of this product and risk/cost of shipping fully assembled as a video wall, we highly recommend that our manufacturing team be included into your project budget to set-up the shipped contents on at your location. 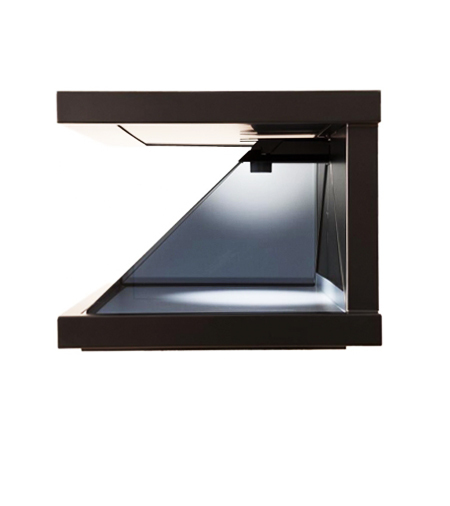 Additional costs include frame housing fabrication, tempered glass, and professional installation.